The last ten days have been media crazy! Since my workplace is a sponsor of the Santa Barbara International Film Festival I've been able to attend a fun selection of movies and events. Over a week ago, Thursday, January 24th, I was able to attend the opening gala for the festival. 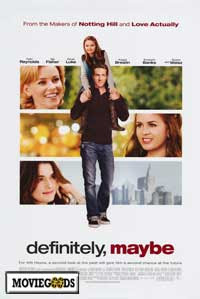 The event kicked-off with the premier of the upcomming movie Definately, Maybe. Abigail Breslin and Ryan Reynolds walked the red carpet; Ryan is just as good looking in person as he is in the film and Abigail is cute but definately approaching that akward tween stage (a terrible stage for anyone). The movie comes on on February 14th and while I thought it was sweet I wouldn't pay $20 to see it in the theater. Throughout the file I enjoyed looking for Isla Fisher's pregnant belly, which the crew was cleverly trying to hide but you could see it if you really looked, and watching Ryan. I took a film festival break after the kick-off (opening night is a crazy with too much humanity in one place) and headed to SLO for Debra's bridal show and some college reunion time with girlfriends. 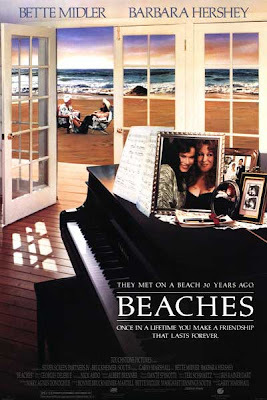 While in SLO I did some reading and watched the movie classic Beaches for the first time. It was sad and sweet, but I had read the book and therefore found the movie lacking. 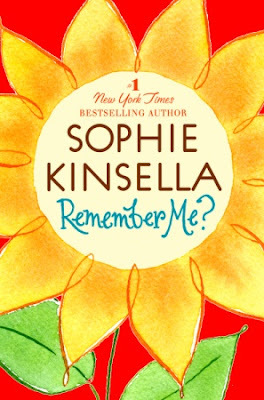 Not only did I get to premier a movie that week but while in SlO I started reading the book Remember Me by Sophia Kinsella. I recieved the book from my favorite book trading website www.bookins.com, not realizing that it was a pre-publication version (there were still grammatical errors in the text); the book won't actually be avaliable to the public until February 26th. I love Kinsella's work (she wrote the Shopoholic series) her books are light and silly but the characters are intersting and have personal depth. I would recommend it for a light, relaxing read. I also finished two Karen Kingsbury books last week: Fame and Even Now. Kinsbury is a christian writer who writes Life Changing Fiction. I like her books for the characters but they are all really perdictable and the plots lines can be somewhat ridiculous. But they're great for simple, fun, easy reads. Last Wednesday was a real treat. Through work I got to go to the SBIFF Virtuoso Awards ceremony. This award aknowledged five up-and-comming actors and actresses. The honorees were: Casey Affleck (The Assination of Jesse James by the Coward Robert Ford and Gone Baby Gone) Marion Cotillard (Vie En Rose), James McAvoy (Atonement), Ellen Page (Juno) and Amy Ryan (Gone Baby Gone). One-by-one they all sat on stage and answered questions about their careers and recent movie roles. It was so interesting to see these young stars our from behind the camera in being themselves. I was really impressed with James McAvoy (such a cute Scotish accent) and Marion Cotillard. Ellen Page was cute, but seemed young and Casey Affleck was, truthfully, somewhat idiotic. He kept stumbing over his words and forgetting to answer the actual question. Friday night RJ and I watched the film Superbad. It is ridiculous and serisouly Super Bad. Not recommended. I won't even honor it with a movie poster image. Saturday night was awesome. I know as a logical person, and particularly as one who loves Christ, I shouldn't get carried away and awe struck by celebrities. But come-on who isn't a bit star-struck by Brad Pitt and Angelina Jolie! The SBIFF honored Angelina with the Performance of the Year Award for her work in A Might Heart. RJ and I got tickets to see her awards ceremony and it was one of the more interesting evenings I've experienced. We arrived at the Arlington Theater about 30 mintues before showtime on Saturday and 15 minutes later a black SUV pulled up in front of the red carpet. The moment the door opened and Angelina and Brad stepped out of the car the crowd exploded. I've never seen anything like it: there was running, screaming, waving, flash blubs exploding, posters. Controlled mayhem. To their credit Brad and Angelina ignored the red carpet for nearly 15 minutes and just walked around greeting fans, signing autographs for kids, and giving people high-five and handshakes. Angelina was really interesting onstage. She seemed nervous (and later acknowledged that she was). Throughout the questions and answer session (nearly an hour and a half) she played with the rings on her hands and smiled a neverous smile. She was well spoken and charming. Brad was in the audience and she talked about how wonderful he was quite often. She also spoke a lot about her mom and her family. She grew on me. I know she has a wierd past and is a strange person, but after listening to her for more than an hour I really started to like her. I just wish she knew the Lord. When someone has that much influence, and that strong a voice in society, how awesome would it be if they used it all for the glory of God!! This last week I have been really burdened for Hollywood. Sometimes the Hollywood crowd seems so far gone that it is hopeless, but we must remember that God can work a miracle even in LaLa Land. Oh, and Clint Eastwood was there to present the award. Pretty cool.